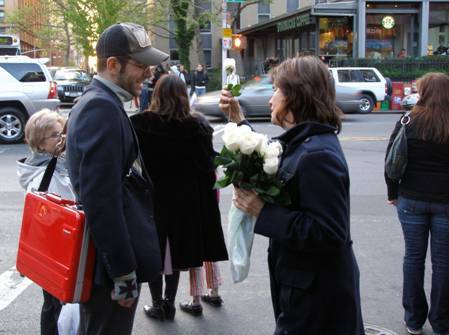 I chose the East Village as the location to give away 2 dozen white roses, the corner of Saint Marks and 3rd Avenue in NYC. It has history for me and I thought I would reclaim it. It's a corner that seems to be at the crossroads of the world. I live a few buildings down the street. I, like everyone else walk quickly past it never stopping. It is a corner that moves me onto my next destination. Now I was linked to the corner until all the roses were gone. 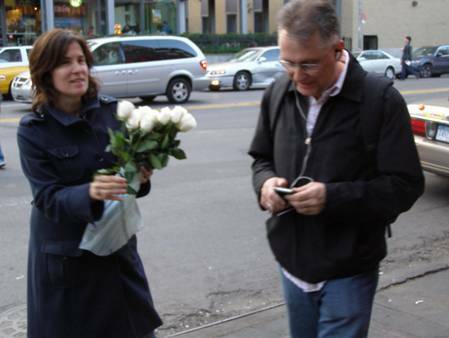 One man told me he couldn't take the rose because white roses were a proposal of marriage. 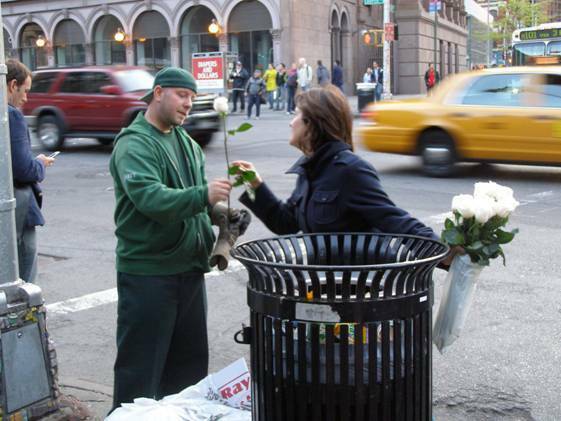 The man emptying the trash did not hesitate when I offered the rose, he was unafraid. He seemed to intuitively understand the gesture, and was completely open. 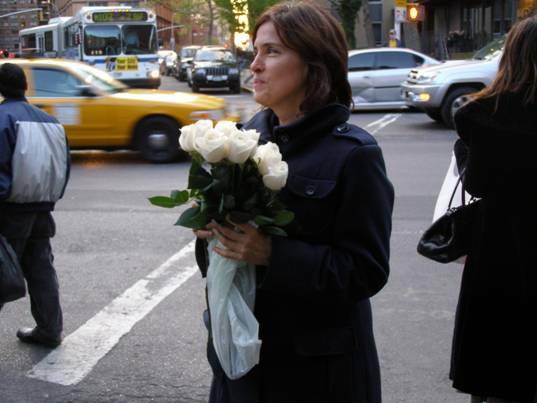 There was a mother with two children, she was weary and in a daze, but took my rose. Her small son looked up at me with the same dazed look. Someone asked me if the rose was poison, "no" I answered with a smile, "ok" he said, "I'll take it." The next morning I walked down the street and saw one of my roses stuck in a wire mesh wall next to a deli.